Specially selected for their soft, juicy flesh and subtle honey and vanilla flavours. 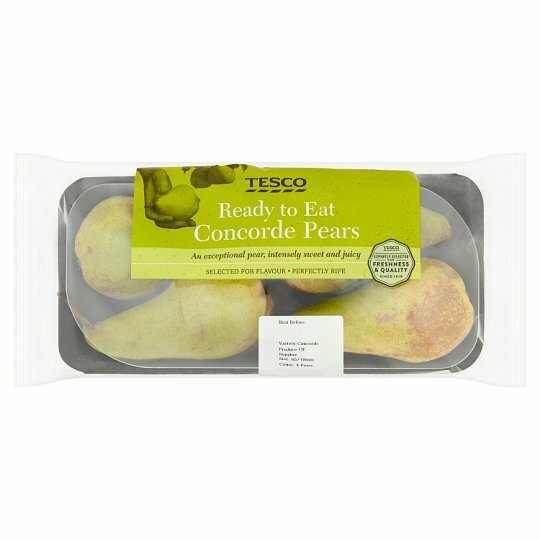 Concorde pears first came to the UK in 1994 it is a cross between a conference and comice. Chosen by Tesco for finest due to its beautifully Sweet and Juicy soft Sumptuous flesh and lovely subtle taste of honey and exquisite vanilla aroma.